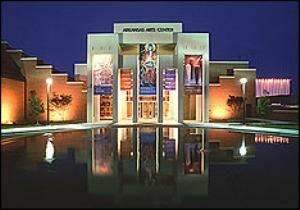 The Arkansas Arts Center, the state's largest cultural institution, is a museum of art and an active center for the visual and performing arts. The Arkansas Arts Center is an art museum with a children's theatre and a studio school. Founded in 1961, its mission is to ensure that learning, inspiration and creative expression in the arts flourish throughout Arkansas, for people of all ages and backgrounds. The AAC realizes this mission by developing, preserving and exhibiting its outstanding permanent collection, offering a rich variety of art from other collections and presenting programs for the education and cultural benefit of the public. Among the most recognizable works in the Museum's collection are sheets by Cézanne, Van Gogh, Jackson Pollock, Georgia O’Keeffe, Alison Saar, Rembrandt and Rubens. The collection also features 135 drawings and watercolors by the Post-Impressionist Paul Signac, over 100 Post-Minimalist drawings, Arthur Dove’s Sketchbook “E”, and nearly 80 works by Will Barnet. Wedding receptions, holiday festivities, retirement parties and business meetings become extraordinary in these elegant settings listed below. Choose between the charming, 1839 Greek Revival style of the Terry House and the chic look of the state of the art structure of the Arkansas Arts Center that houses the best collection of art in the state. Both facilities offer catering services to fit your needs. The Alice Pratt Brown Atrium, complete with breathtaking skylights, porcelain tile and glass, has room for 1200 people standing and up to 300 seated. The Board Room is a spacious and elegant meeting room with a capacity for 40 people. It is an ideal location for corporate meetings or for small group presentations. Like the Lecture Hall, this space also has the latest presentation technology. The Courtyard is ornamented with beautiful flowers and sculptures. There is room for approximately 100 seated and 400 standing. Glass doors to the lower lobby can be opened in order to make an event both indoor and outdoor. The Arts Center's Lecture Hall is a 140-seat theater-style auditorium with the latest technology in presentation equipment including large screen projection capability, computer and Internet connections, lighting and audio. Special Features: Adjacent to the Lecture Hall is ample space for registration, mingling or viewing of current art exhibitions. The Lower Lobby is perfect for smaller events, seating up to 150. It houses fine art and sculpture from the Arts Center's collection. The Lower Lobby has large sliding glass doors and can be rented with access to the courtyard, which adds additional seating to your event. A grand, historic home makes for a stunning atmosphere at both indoor and outdoor gatherings. The sculpted grounds have bricked walkways, patios, a butterfly garden, a gazebo and ample space for tents. Rental of this facility includes galleries, a dining room, a kitchen and sitting rooms. The Arts Center's Theater has a seating capacity of 381 people. Home to the Arts Center Children's Theatre, this space offers a large production stage for plays, recitals and concerts. We also have a professional and seasoned staff to assist you with lighting, sound or stage set up. Due to production schedules, the Theater is available on a limited basis. My sister 60th birthday party took place at the Canvas Restaurant located inside the Arkansas Arts Center. The Art Center and the Canvas Restaurant was breathtaking. Jennifer Mosby, General Manager, decorated for the event. She and staff did an extraordinary job! Special Features: The Arkansas Arts Center is a commanding structure featuring six unique and artful spaces that provide an elegant background for any event.